5 nights ocean front accommodations in Las Flores. Daily yoga, meditation, workshops, group runs and other optional fitness activities. All meals and nonalcoholic beverages. 1 Island trip in Golfo de Fonseca. Round trip Airport Transfers to and from resort are included. Retreat Led by Jess P.
Jessica is a Tier 3/ 1,200 hour Baptiste Certified Instructor, and graduate of the year long Fit to Lead program with the Baptiste Institute. She has completed Levels 1, 2, and 3 with Baron Baptiste and Paige Elenson in addition to The Art of Assisting, Advanced Art of Assisting, and Being of Power Workshops. Jessica is a facilitator for the 40 Days to Personal Revolution program, and has joined the Baptiste Apprentice Team. For her foundational training, she completed the first 200 hour Hot Warrior Yoga certification at The Hot Yoga Spot with it's creator, Jennilee Toner. She is also earning an additional 300hr certification at The Hot Yoga Spot through Styles Yoga. Jessica is excited to be leading her first yoga retreat. Our 6 days and 5 nights Surf and Yoga retreat is designed for people on the run for a quick escape. El Salvador has many attractions including volcanoes, waterfalls, and pristine islands. All can be enjoyed easily with our El Salvador tropical vacations. 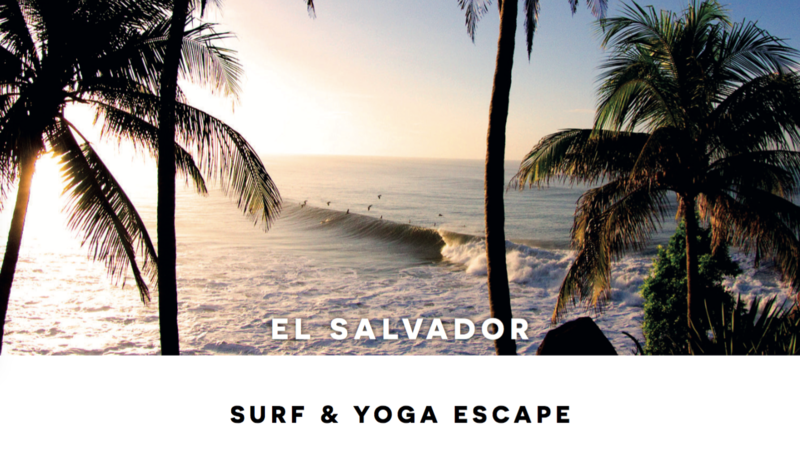 Escape the daily life of work, call in sick and come explore El Salvador Vacations with AST Adventures and The Hot Yoga Spot.